I regularly receive questions about what cameras, lenses, and other equipment newer photographers should purchase to improve their photos. And frankly, it’s very rare that the answer is that a gear purchase will be the thing that will make their images better (I’ve written in more detail about why this is the case here). I can’t stress enough to those who are learning photography that they should invest in education and should not upgrade their gear until they feel like it is the main thing that is preventing them from getting the photos they hope to capture. With that said, however, choosing the right gear can still play an important role in your photography. I bought the gear that I own after careful (and probably bordering on comically obsessive) research, and I chose each piece knowing exactly what it could give me that my previous gear could not. However, since I’m still asked regularly about the cameras and lenses I have in my bag, the following explains the gear that I use to create my photography and why I find it useful. After spending my first few years in photography using Canon cameras, I made the switch to the Nikon D750. The D750 allows me to capture very high-quality images, especially at night due to how well it handles noise at high ISO settings. This is not a knock on Canon cameras—the D750 just happened to be a perfect fit for the types of photography I wanted to pursue. The sensor in the D750 is ISO invariant, which allows me to underexpose an image and brighten it in post-processing without losing much if any quality. The dynamic range of the D750 gathers a huge amount of detail in both the dark shadows and bright highlights in a scene. In short, it makes capturing a high-quality photo faster and easier than with other cameras that I've used, meaning I can spend less time behind a computer and more time out in nature capturing images. I like my camera gear to be as versatile as possible. Unless I want to shoot at ultra-wide angles or at very wide apertures, the 24-120mm lens stays on my camera the majority of the time. It's wide-angle enough at 24mm on my full-frame camera to show all of a grand landscape but can also zoom in to capture a more intimate or far-off scene. The constant f/4 aperture (aperture refers to how wide the lens can open to let light into the camera) is a nice balance between the ability of the lens to gather light and the weight it adds to my backpack when I’m hiking (wider aperture lenses also tend to be much heavier). The 24-120mm does have some minor drawbacks, but overall, its versatility makes it a lens that I use consistently. I love this lens. For ultra-wide landscapes, photos of the Milky Way, and other dimly lit scenes, this lens is my workhorse. The 15-30mm focal range is a very useful one for landscape photography, and the f/2.8 aperture makes photographing the stars easy. It also produces very little saggital astigmatism (often referred to as "coma"), which can make stars look like they have wings in a night sky photo. Unlike Canon, Nikon does not offer a 16-35mm f/2.8 lens. Instead, they have the fantastic and very expensive 14-24mm f/2.8 lens. The Tamron 15-30mm, by comparison, is just as sharp and has vibration reduction, but costs $700 less. There are only two downsides to the Tamron 15-30mm: the bulbous glass on the front of the lens which makes using screw-on filters impossible, and the weight. Using filters with this lens will involve buying an expensive attachment system. And when carrying the 15-30mm up a mountain, you’re going to feel how heavy it is. The Irix 15mm f/2.4 is an addition to my lens lineup that fills two voids left open by the Tamron 15-30mm. First, it accepts screw-on filters (95mm), meaning that it's a great ultra-wide option for those that don't want to buy a filter system like the Lee SW150 Mark II. Second, its f/2.4 aperture lets in more light than the f/2.8 aperture of the Tamron. This makes getting cleaner wide-angle astrophotos even easier. The Irix is also very well-built, which is a nice change from the constant quality issues I experienced when using the similar Rokinon 14mm lens in the past. After years of shooting mostly wide-angle landscapes, I kept finding myself wanting to zoom in for more detailed, telephoto landscape shots. However, most telephoto lenses on the market for my Nikon camera system did not fit what I was looking for. They either did not zoom in enough or, if they did, they were too large and cumbersome for me to be willing to ever travel with them. The Nikon 70-300mm has been a nice balance, giving me more telephoto abilities than the 24-120mm, but without having to compromise on size and weight of the lens. A 50mm f/1.8 is often the second lens someone will buy to go with their DSLR camera. Due to its fast f/1.8 max aperture, the 50mm is great for night sky photography, as it picks up an incredible amount of detail in just a few-second exposure. For detailed shots of the Milky Way or for occasional portrait shots, this lens is my go-to. I honestly never understood the reason for buying a carbon fiber tripod until I held this one in my hand. It packs down to 18.9" and extends to as high as 54.3", which is easily high enough to put the viewfinder of a camera at eye level for someone 6 feet tall. And it does so without the instability that comes with an extended (and usually less stable) center column. The CT-3442 is very solid and weighs only 2.4 pounds, making it fantastic for hiking and taking shots on mountaintops, even in windy conditions. This ball head is a simple yet great design. It fits perfectly on the Feisol CT-3442 base, moves smoothly, and can support up to 55 pounds, which is not something I can even confidently say about my own arms. The one downside to the Tamron 15-30mm lens is the fact that it cannot accept traditional screw-on filters. 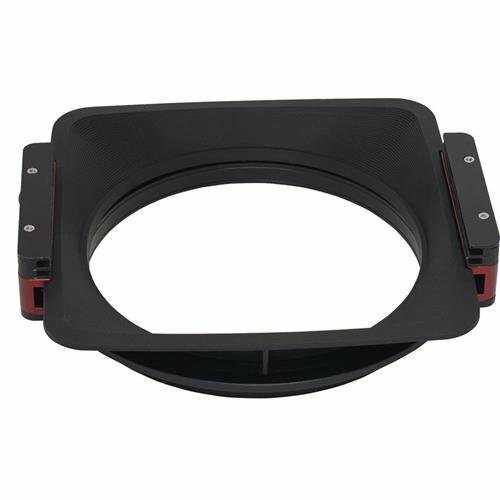 This Lee adapter is the answer if you want to use a circular polarizer, which I consider to be a necessity for landscape photography. The adapter can hold two filters at a time and attaches to a lens-specific adapter for the Tamron 15-30mm. 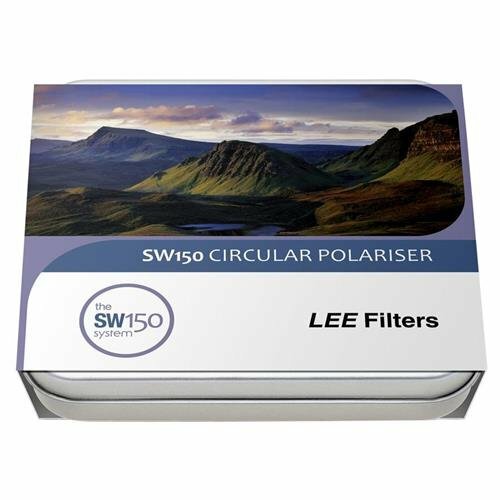 A high-quality polarizing filter that fits with the Lee SW150 Mark II holder system. This filter works in the same way that polarized sunglasses do, cutting glare off of water and other wet surfaces, darkening a hazy blue sky, and making colors more vibrant. A CPL is completely indispensable when it comes to waterfall photography. The Big Stopper is a dark, 10-stop neutral density filter which gives the ability to capture long exposures during the day. This filter is less of a necessity for most of the photography I do and more of a tool to get creative when the mood strikes. This is my go-to polarizing filter when using either my Nikon 24-120mm or the 70-300mm lenses. It high-quality and well-constructed, especially compared to other filters I’ve used in the past. An L-bracket is one of those accessories I didn't know that I missed until I tried it for the first time. It wraps around the side of your camera so that it can attach to your tripod ball head in either landscape or portrait orientation. That way, you don't have to readjust the ball head and tripod to switch compositions. This one is Acra Swiss compatible, fits snug on the D750, and has held up to all sorts of abuse out in the field. After falling into a few different rivers while trying to balance on rocks to keep my boots and pants dry, I decided there had to be a better way to get more interesting angles when photographing around water. These socks are a wetsuit for your feet. They come up to my knee and keep water out even if it goes above the top of the socks, and they keep my feet warm in cold water. I wore these in a mountain river in Montana and didn't feel a thing. Just make sure to grab a cheap pair of sandals to wear over them or you'll eventually risk tearing the bottoms on sharp rocks. For anyone planning to shoot night photography or planning to be outside before sunrise or after sunset, a headlamp is a necessity. This one has been a great accessory, especially given that it is fairly inexpensive, has dimmable bulbs, and includes a red light setting to avoid ruining your night vision. I’ve been hiking at night with an older version of this headlamp for over 5 years and it shows no signs of stopping. When out shooting night photography, I like to bring a small tactical flashlight so that I have a backup source of light in case my headlamp dies. I also like to have something with a brighter light than my headlamp that can see farther into the distant, unsettling, dark void of nature. I picked up this flashlight off of Amazon on a whim when I realized that my mini Maglite had corroded, and I lucked out. It’s bright, has a red light setting, a green light setting (which is brighter than the red and doesn’t seem to attract bugs), a laser pointer, and is a bit smaller than the Maglite. I use the FreeWave as my shutter release when I’m looking to capture a photo without touching the camera and/or when I want to capture a photo longer than what my camera will allow. The receiver that attaches to the camera operates off of a radio frequency and does not require line of sight with the remote to trigger the camera. Lightroom gives you a RAW photo editor and keeps your organized; Photoshop gives you more photography post-processing power than you could ever want or need. These a must for most photographers. While there is really no substitute for Photoshop, RAW editing programs such as Luminar and Capture One Pro have become popular competitors to Lightroom in recent years and are also worth a look. Note: Some of the links on this site are affiliate links through Amazon Associates LLC. If you click on any of these links and buy a product (any product on Amazon.com, camera-related or otherwise), I receive a small commission I can later use to further support my photography, and it costs you nothing extra. Please consider using these links, especially if you'd like to support my photography!